Contax Zeiss 35mm f1.4 A7S Test from TheCameraForum on Vimeo. One of the things that I always do as soon as I can when I get a new camera body, is to test it using my Contax Zeiss collection of prime lenses. These lenses are the older Contax Zeiss primes, intended for the Contax 35mm film camera, so each is optimal design for full frame 35mm cameras. I thought the coverage on the Sony A7S should be very good edge to edge, and it is. Historically, the Zeiss lenses are near legendary. Today these lenses sell at prices that are reflective of that. An Excellent condition copy of this Contax Zeiss 35mm f/1.4 will sell for as much as the new version Zeiss is building for the Nikon and Canon mounts, and continues to rise as the demand absorbs the available used stock. One thing is for certain, they won’t be making any more of these, as the formulation of the lenses contain rare earth heavy metals, radioactive elements, and lead, all of which violate manufacturing regulations in most of the civilized world. Zeiss has re-formulated both the glass formula as well as changed the famed T* coating. I freely admit to being horribly biased about the lenses I own. I like the flair from these older lenses much better than the latest flare suppressed models. 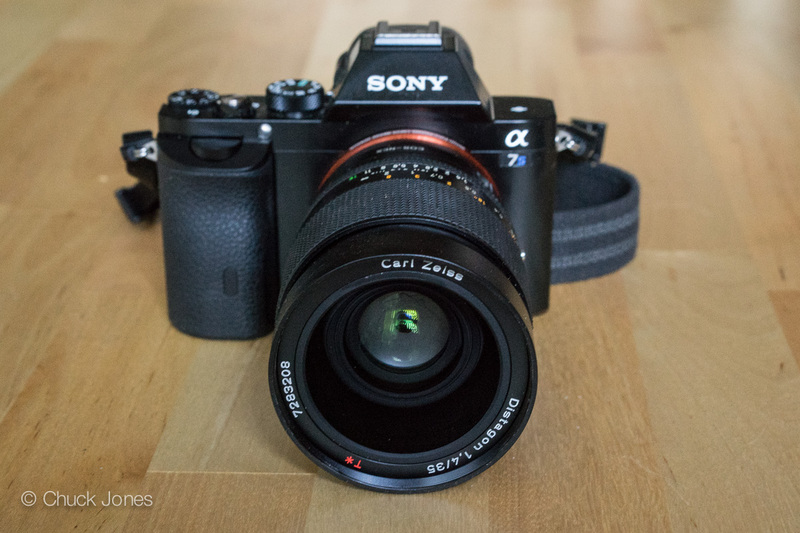 Contax Zeiss 35mm f1.4 Easily Mounts On The A7S With A Simple Adapter. Most of my copies are well over thirty years old, and still serve my needs quite well. I have adapted each to a permanent Canon EOS mount, and then use a simple Canon EOS to Sony E mount adapter. I will eventually get each of the lenses tested thoroughly and examples posted here of their performance on the A7S. This one, the first, is the workhorse of the group, the Distagon 35mm f/1.4. The look from these older Zeiss lenses is different from the more modern versions. This can be accounted for by differences in the formula of the glass as well as slight adjustments in the actual optical formula. Carl Zeiss Distagon 1.4/35mm Originally Made By Contax In Japan. 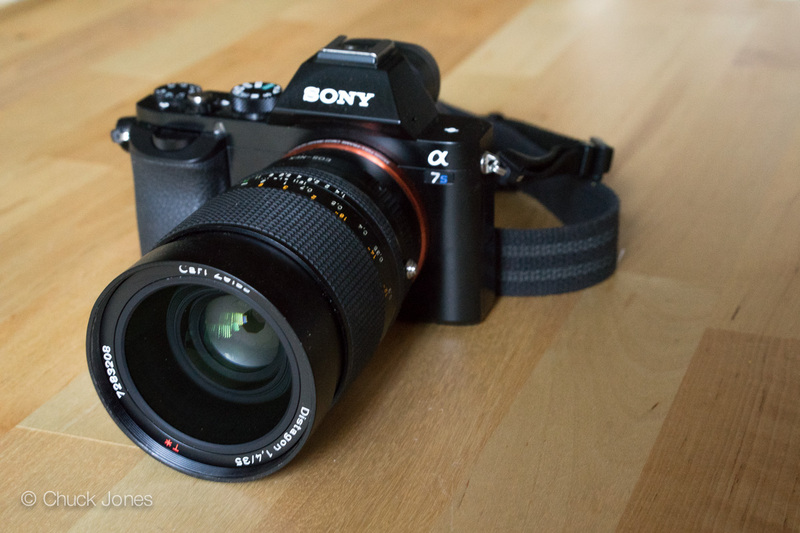 The Sony A7S is a wonderful camera for video. Truly, a body worthy of the best glass in the world. For my money, this 35mm f/1.4 is one of them. But judge for yourself, and let the rest of us know what you think by sharing your comments with the rest of us below.